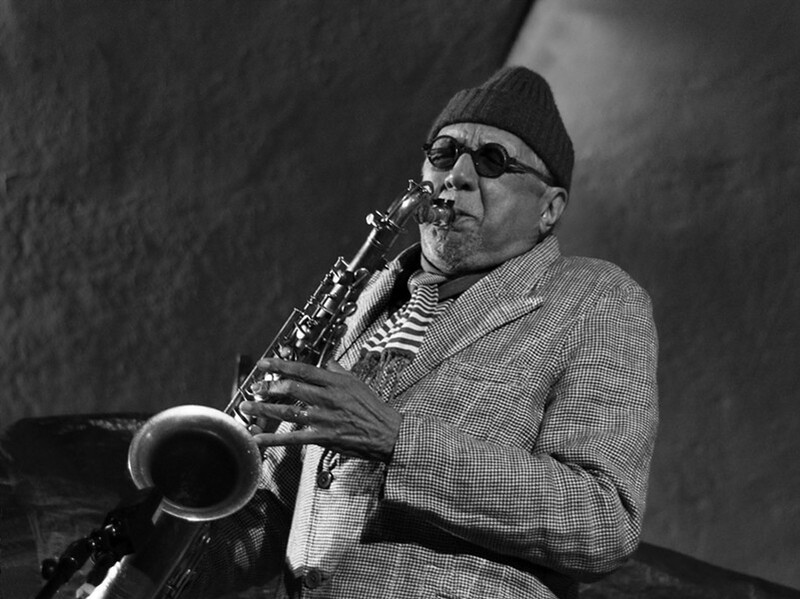 In the promotional materials for his superb new album I Long to See You (Blue Note) veteran reedist Charles Lloyd calls himself a "sound seeker," and says that "the deeper I dive into the ocean of sound, I find there is still deeper and further to go." Lloyd is 77, and I can think of only a few musicians of his generation and age who've continued to push their music forward by working in new contexts. While the reedist has been working with his strong rhythm section (bassist Reuben Rogers and drummer Eric Harland) for more than a decade, the rest of the quintet features a new configuration with guitarist Bill Frisell and steel guitarist Greg Leisz, the latter a musician known best for working in rock and country contexts. Lloyd has dubbed his band the Marvels, as if they were a rock combo, and the album does open with an attractively dirgelike rendition of the early Bob Dylan protest song "Masters of War," an apt choice given the current state of the world. The rhythm section lays down a tough but spacious backbeat groove that gives the twined improvisations of Frisell and Leisz plenty of room to move, carving out bluesy, tightly coiled melodies that subtly seethe; Lloyd then joins in on tenor, playing lines at once serene and troubled. His phrases are elegant and eloquent, but his tone suggests something ominous. The album includes several new renditions of Lloyd originals that he's previously recorded, including a couple that back to the mid-60s, when he was becoming one of the last great jazz musicians to reach a big rock audience. "Of Course, Of Course" was the title track from his 1966 album on Columbia, and it retains the same percolating groove and jaunty Ornette Coleman-like flute melody, although the guitars bring something a big darker to the field of sound. Lloyd recorded the Mexican folk ballad "La Llorona" for his 2009 quartet album Mirror, but he's outdone himself with the new version (which you can hear below), where the guitars create a sensual, richly lyric foundation and the rhythm section coaxes a firm but gentle groove for his keening tenor to roll over with exquisite tenderness. The record also features a couple of high-profile guest vocalists. Willie Nelson turns up for another antiwar song: the 1950 Ed McCurdy tune "Last Night I Had the Strangest Dream," recorded by the likes of Simon & Garfunkel, Joan Baez, and Pete Seeger. The graceful waltz feel is a perfect fit for Frisell's brand of expansive Americana, and the guitars deliver one dreamy melodic passage after another, Wilson's grainy, tremulous warble balancing rural twang with classic songcraft. Norah Jones sings the early 70s ballad "You Are So Beautiful" at a molasses tempo that seems to hover more than move forward. The album is gorgeous throughout, as Lloyd changes the complexion of his music without diminishing his individual sound or personality. Considering how long he's been in the game it seems unlikely that he'll rest on his laurels any time soon, which is a boon for all of us.